An independent review of Wikimedia UK, the UK charity that supports the online encyclopaedia Wikipedia, has highlighted significant failings in the way it managed conflicts of interest concerning board members. The review, commissioned by Wikimedia UK and its sister charity in the US, the Wikimedia Foundation, recommends a major overhaul of governance at the charity, including a new management structure. The charities were acting on concerns, raised by supporters online, that Wikipedia and its hosting websites were being used to promote online services run independently by board members of Wikimedia UK. In response to the report, the charity said that the recommendations meant it was "now in a position to improve and expand its policies and procedures". 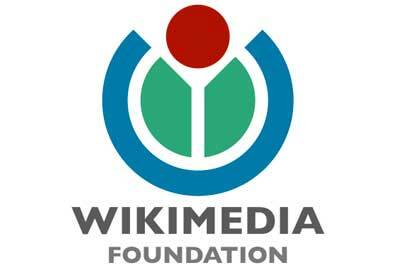 Wikimedia UK was set up as a limited company in 2008 and gained charitable status in November 2011, with a remit to promote open access to information through Wikipedia. But a series of disputes between board members led to the resignations of two chairs and one trustee in its first year as a charity. The review of governance, produced by independent consultants from the Compass Partnership, exposes the tense relationships between board members amid concerns over a lack of transparency in board members’ private interests. The first chair of Wikimedia UK, Roger Bamkin, resigned his post in April 2012 because of a conflict of interest linked to his role as a paid consultant. He had designed a service called QRPedia, which uses QR codes to access Wikipedia articles and display them in the user’s preferred language. An excerpt from minutes of one board meeting, reproduced in the report, show that another board member said he was concerned about "the amount of charitable effort that has gone into advertising QRPedia". Bamkin retained his position on the board of trustees until he stood down in September, but another trustee, Joscelyn Upendran, resigned on 31 August after complaining that "personal loyalties may be getting in the way of what is really best for the charity", according to the review. A few days before her resignation, Upendran told fellow board members of her concerns that "the charity has in effect agreed to take on responsibility (to fund, maintain… etc) for a service that is ‘co-owned’ by a trustee". Ashley Van Haeften, who was appointed to replace Bamkin as chair in April 2012, resigned from the position three months later after he was banned from editing Wikipedia articles for six months for breaching online policies. He remains on the board. The review recommends a series of changes to the management structure of Wikimedia UK to provide stronger governance. It says the maximum size of the board should be increased to 11, with two-year terms of office for chairs and trustees, and a maximum of three terms allowed for individuals. It says a governance committee should also be appointed to ensure that conflicts of interest are declared in advance of trustees being elected and ensure that those conflicts are "permissible and manageable".